It's fall. It's chilly. Warm up with some slow cooked beef stew. Prep everything the night before and it'll be ready for you come morning to take to work for lunch AND you'll have leftovers when you get home for dinner. WINNING! Heat 1 tbsp butter in a large skillet over medium-high heat. Working with half of the beef at a time, season with salt and pepper to taste and sear in skillet until browned, turning once halfway through, about 4 - 5 minutes total. Transfer beef to slow cooker. Add an additional 1 Tbsp butter to skillet, repeat with remaining beef. Leave excess oil in skillet. Add remaining 1/2 Tbsp butter to butter in skillet (there should be about 1/2 tbsp left after searing beef), reduce burner to medium. Saute onions and celery 3 minutes, add garlic saute 30 seconds longer then add in tomatoes and cook, stirring constantly, 1 minute. Pour 1 cup chicken broth into skillet along with Worcestershire, soy sauce, thyme and rosemary. Add potatoes and carrots over beef layer in slow cooker, then pour broth mixture in skillet into slow cooker along with remaining 2 cups beef broth. Season lightly with salt and pepper (add more to taste at the end). Cover and cook on low heat for 7 - 8 hours. In a small bowl whisk together cornstarch with 1 1/2 Tbsp cold water until smooth. Pour into slow cooker and gently stir, cover and cook on high heat for 20 - 30 minutes until thickened slightly. Stir in peas and half of the parsley. Serve warm garnished with remaining parsley. 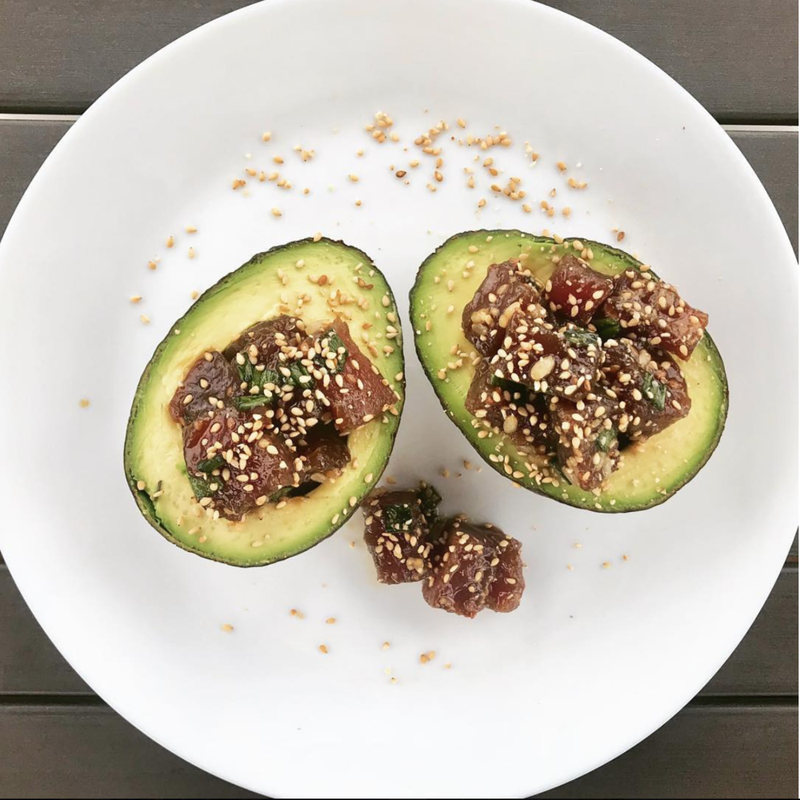 Pulled this one from Whole 30 and made a couple minor adjustments! Nothing beats a warm cup of soup with this crisp weather. Enjoy! Add potatoes, broth and thyme. 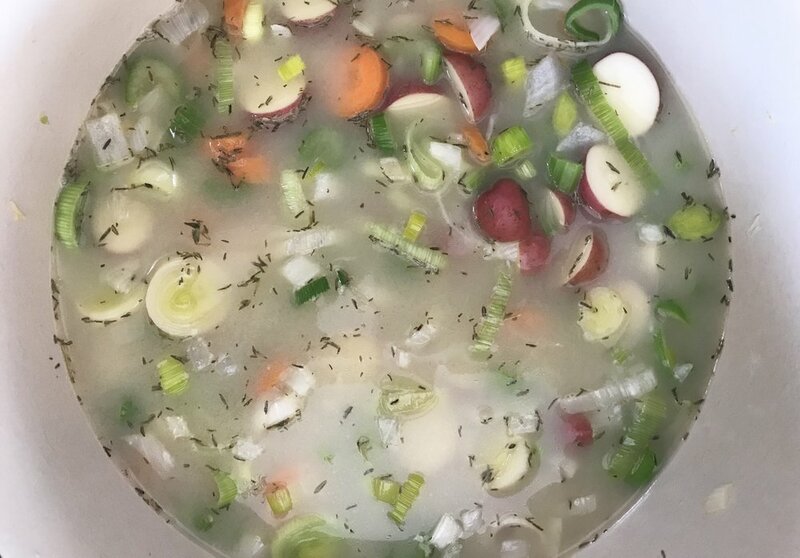 Bring soup just to a boil then reduce heat, cover and simmer until potatoes and carrots are tender - about 30 minutes, depending on how large they are and how vigorous the simmer. Slow Cooker Beef Tacos Perfect For Taco Tuesday! This flavorful melt in your mouth beef is garunteed to be a crowd pleaser! If we're friends you've probably had this on our boat in the last year or so. This recipe was given to me by a client and it has become a staple. 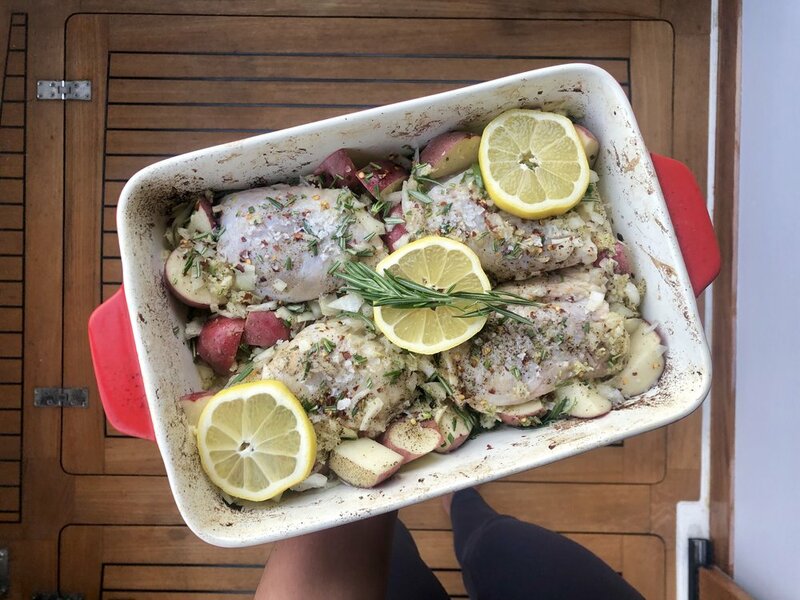 If you're having guests over or wanting to meal prep for the week this is an excellent meal to make. Combine all ingredients in crock pot on high and let stew for 6-12 hours. Add all the fresh raw veggies you want. I usually do cabbage, romaine lettuce, baby colored peppers, cilantro, tomatoes and fresh salsa served on a corn tortilla. In a 5- to 6-quart pot, heat the oil and butter over medium-low heat until the butter melts. Add the onion and garlic and cook, stirring occasionally, until soft but not browned, about 8 minutes. Add the flour and stir to coat the onion and garlic. Add the broth, tomatoes, sugar, and 1/4 tsp. each salt and pepper. Bring to a simmer over medium-high heat while stirring the mixture to make sure that the flour is not sticking to the bottom of the pan. Reduce the heat to low, cover, and simmer for 40 minutes. Let cool briefly and then purée in two or three batches in a blender or food processor. Rinse the pot and return the soup to the pot. Season to taste with salt and pepper. Reheat if necessary. Serve warm but not hot, garnished with halved cherry tomatoes, ground pepper and freshly shaved pecorino cheese. Zucchini has a variety of health benefits due to it's high nutritional value. Zucchini contain a fair amount of potassium that can help reduce blood pressure as well as a good amount of Vitamin C. Vitamin C, a powerful antioxidant, plays a huge role in keeping the immune system healthy. This versatile summer squash is also high in folate, calcium, fiber and is also great for the skin giving it a natural glow and restoring moisture. A client recently turned me onto this recipe and I will say it is incredible for a dairy free, purely vegetable soup. Serve this soup hot as a first course or make a bigger batch and enjoy as a meal. Chop bread into small bite size pieces. In a baking dish pour 2-3 tbsp olive oil over bread and make sure all pieces are covered in olive oil. Cook for 10-15 minutes or until croutons or brown and crispy and set aside. In a large skillet sauté the shallot and garlic well. Add salt, pepper bay leaf and keep stirring until ingredients start browning and you smell the aroma of garlic. Add chopped zucchini and keep sautéing them together until the zucchini is almost half way cooked. Add 1/2 bottle of sparkling water and cook it for another 10 minutes or until zucchini is fully cooked. Put everything in a blender and thoroughly blend. Combine soup, croutons and freshly grated parmesan in a bowl and enjoy! This is a spin on tortilla soup. The lemon and raw veggies make this soup refreshing and perfect for a cool summer night. This a perfect go to if you or someone you know is getting sick. 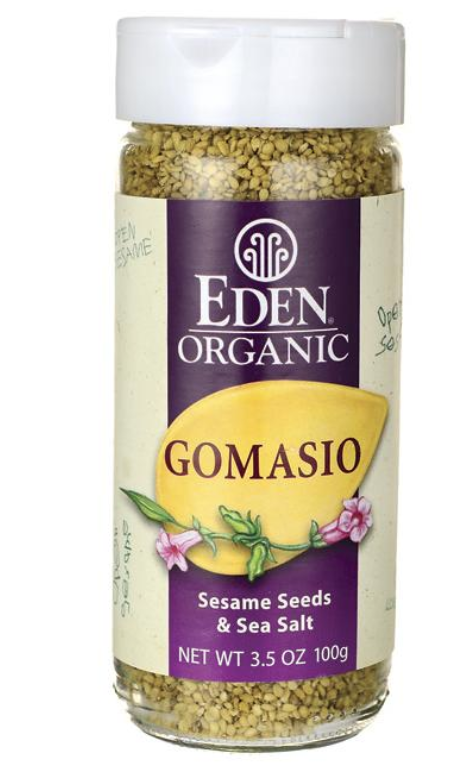 It's loaded with garlic a natural anti-inflammatory, anti-bacterial and anti-fungal. With a large pot fill to about medium height with water. Once boiling place rotisserie chicken in pot, lower heat to medium and let stew for ~30 min. 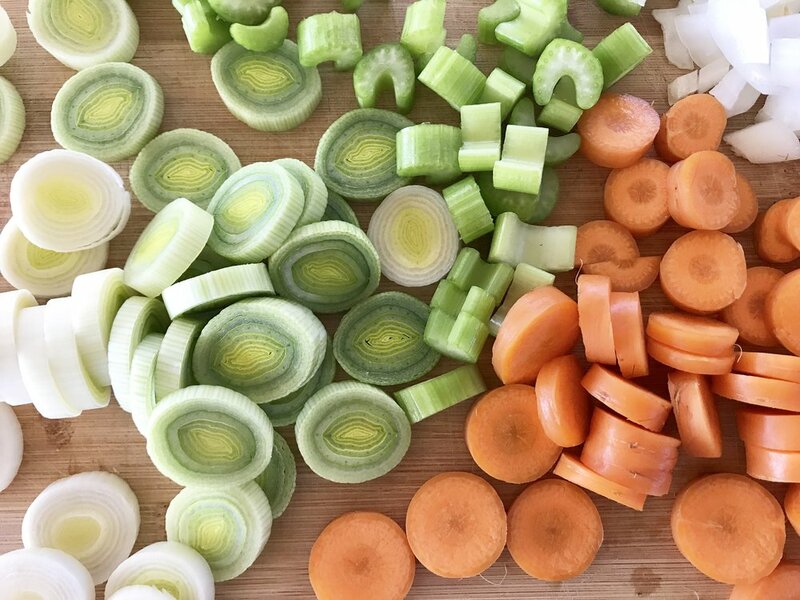 While waiting, cut up all vegetables to bite size pieces. Juice lemons. Add salt and oregano to broth. 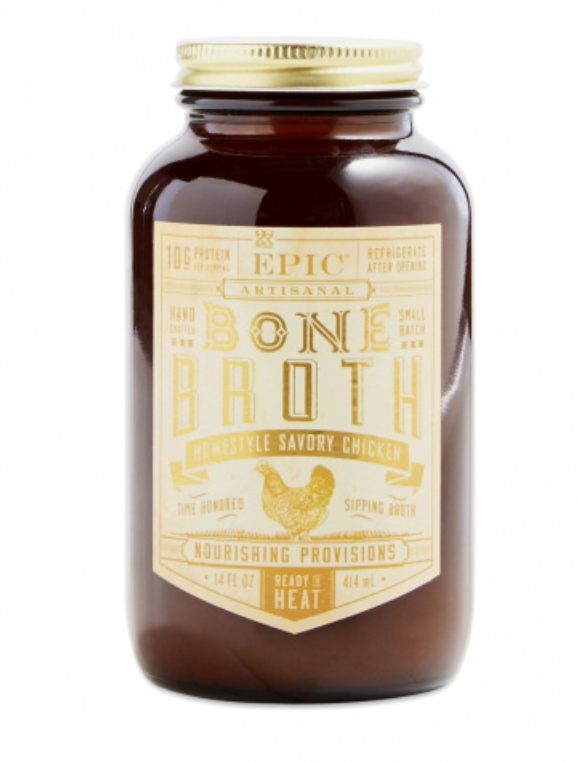 When time is up take chicken out of the water and dissect the chicken and put edible parts back in broth. Add potatoes, garlic, lemon juice (to taste). Wait about 10 minutes then add all other vegetables. Let sit on medium to low heat until potatoes are done. Cut up raw toppings (red bell pepper, cilantro and avocado) as the last addition before serving! Cut fish into small bite size pieces. In a small bowl mix egg and milk together. Dip pieces of fish in egg & milk mixture. Mix breadcrumbs and salt on a plate and bread both sides of fish. In a medium sized skillet add canola oil and place fish in pan to brown on medium to high heat. Cook until brown and turn just once. Prepare avocado, cabbage, tomatoes, lime, cheese and cilantro as raw ingredients. In a separate pan lightly grease pan with olive oil and heat to grill tortillas. This spaghetti squash lasagna recipe with garlicky broccolini makes for a healthy take on a favorite casserole. 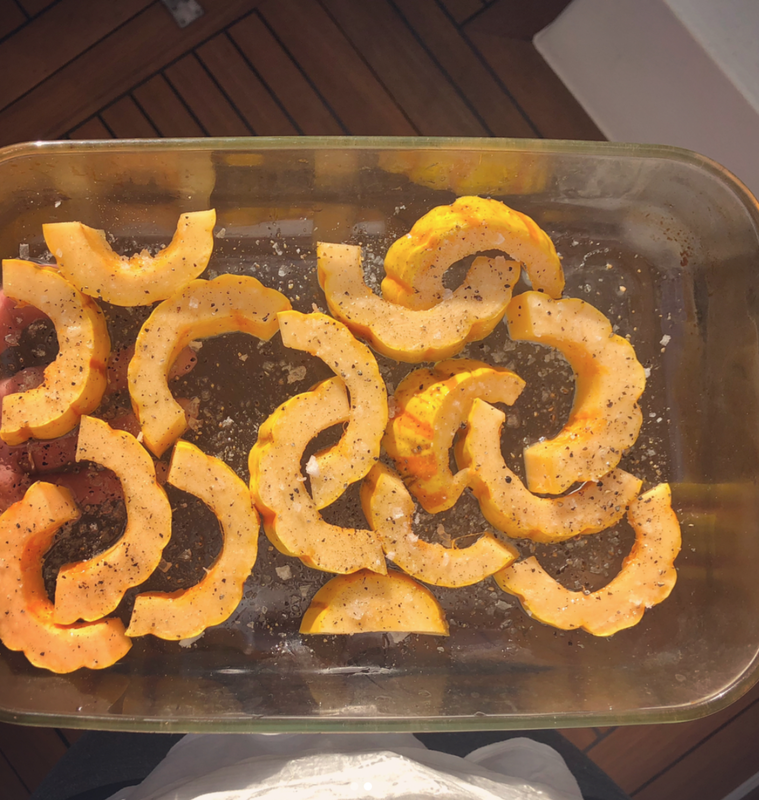 This bakes right in the squash shells for a fun presentation. If you've ever looked at the nutrition label of a pre-made pasta sauce you know it's packed with sugar and salt. This homemade recipe uses San Marzano crushed tomatoes which is an heirloom tomato. These tomatoes have a much thicker skin with fewer seeds and the taste is stronger, sweeter and less acidic. Makes for a very tasty alternative to the store bought sauces. Start water - salted - to boil and get pasta cooking before sauce. In a separate pan add 4T olive oil, garlic, 1T kosher salt and red chili flakes over medium heat just until garlic is fragrant - don't brown. Add tomatoes. Bring to a simmer for 6 minutes. Turn off heat 1/2 cup parmesan and basil torn or julienned. Add pasta to the sauce - top with 1/4 cup parmesan. This recipe is pretty simple and straight forward. Makes for a quick and easy dinner with leftovers for lunch the next day. 1. Cook soba noodles according to directions, and rinse in a colander. 2. Chop up all your vegetables, and toss into a bowl with the soba noodles. 3. In a small bowl, whisk together the tamari, sesame oil, canola oil, rice wine vinegar and red pepper flakes. 4. Pour the dressing into the pasta and veggies and toss well to combine. Enjoy! Heat olive oil in a skillet over medium heat. Saute onion and garlic until lightly browned. Stir in curry powder, cinnamon, paprika, bay leaf, ginger, sugar, salt, tomato paste, yogurt and coconut milk and stir for 2 minutes. Add chicken pieces and bell pepper. Cook until chicken in fully cooked. Remove bay leaf and stir in lemon juice, cayenne pepper and add cilantro as a garnish. This is a simple and delicious recipe to make for lunch or dinner. Serve with a spinach salad for the perfect combo! Quinoa pasta is an alternative to whole wheat pasta. You can also use corn or rice pasta as a wheat alternative but I have found that quinoa pasta cooks similar to wheat pasta and doesn't fall apart or get sticky. When possible, buy organic ingredients. In a large saucepan combine tomato sauce, tomato, onion, asparagus, garlic, basil, parsley, oregano, pepper, salt, sugar and cayenne pepper. Lower heat and simmer for 40-50 minutes. When simmering time is nearly over, boil a large pot of salted water to a boil. 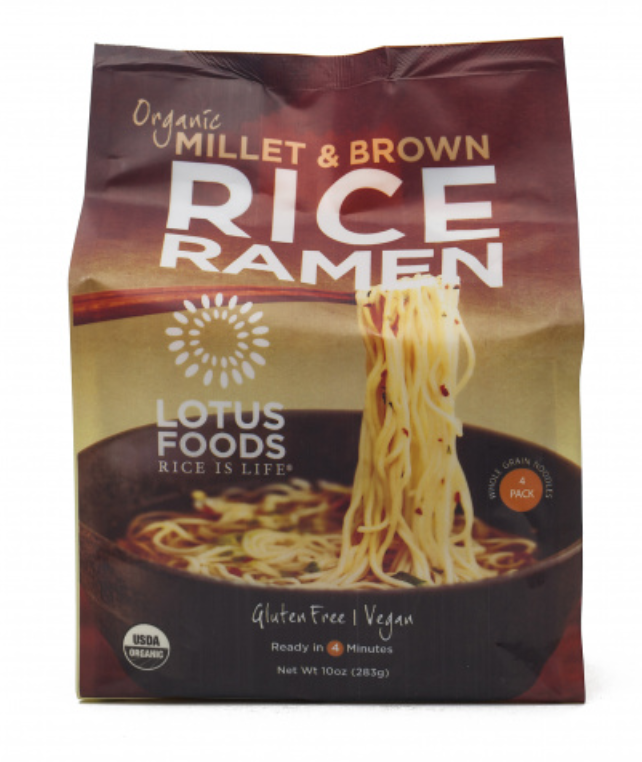 Add quinoa pasta to boiling water for 14-18 minutes (or follow directions on package). Serve sauce over pasta. Add cheese if desired.